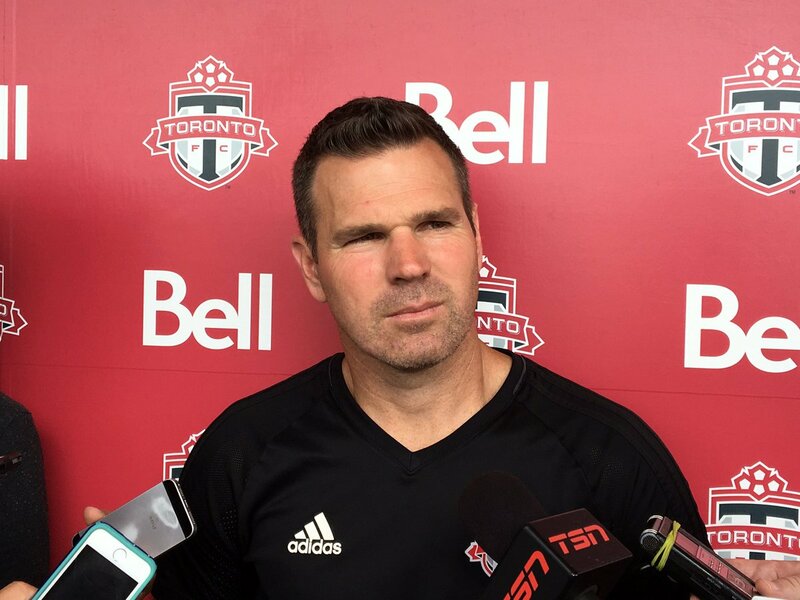 Toronto FC manager Greg Vanney claims that the MVP Player of the Year title named after Landon Donovan should be from his team amongst any other outfit. The critical title will judge the best player for the course of the MLS campaign, which has been quite exciting enough. Toronto were able to finally clinch the title by overcoming the Seattle Sounders in the final. It caps a memorable campaign for Toronto and manager Greg Vanney, as they have been able to dominate the division from the start to finish. Toronto were able to set numerous records over the course of the calendar year and this was largely down to the brilliance of two players – Sebastian Giovinco and Jozy Altidore. Between them, they managed to score more than 30 goals in the league. However, Giovinco and Altidore are facing stiff competition from the likes of David Villa from New York City FC, Diego Valeri from Portland Timbers, Nemanja Nikolic from Chicago Fire, and more. These players have been able to dominate in terms of goals and assists, but the numbers from Giovinco and Altidore have been crucial in that they have helped Toronto to win the title. Apart from the MLS Cup victory, Toronto were also able to claim the Supporters Shield and Canadian Cup. Thus the team became the 1st to hold three titles at once. "I think the MVP should come from our team. We’ve had the best regular season, it’s been a historical regular season. I think it’s a position that’s not a glorified position, but for me it’s the key to a team in a lot of ways. It’s the piece that connects what’s happening in the back to what’s happening in the front on both sides of the ball. If you have stability in that position you can really build around that,” said Vanney.